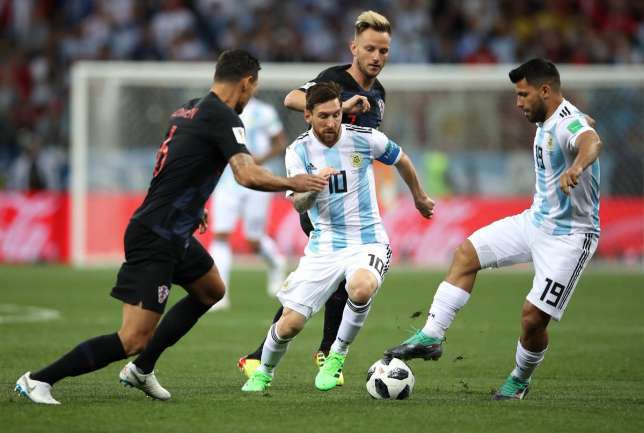 Argentina coach Jorge Sampaoli has revealed that his team did not help Lionel Messi after they lost 3-0 to Croatia in their 2018 FIFA World Cup group D encounter. Goals from Ante Rebic, Luka Modric, and Ivan Rakitic condemned Argentina to a defeat in their second group game of the World Cup. The defeat means that Argentina have only one point from their two group games and need a win in their final group game to stand a chance of qualification for the round of 16. Speaking after the heavy defeat to Croatia Sampaoli accepted that as the coach of the team he is responsible for the defeat. Sampaoli also talked about the performance of captain Messi, and blamed the team or not allowing him to function properly.